From everyone at Draycast we wish you a merry Christmas and a Happy New Year. Looking forward to a successful 2019. Aluminium Bronze is an alloy that has numerous uses. It has become an increasing utilised material due to its corrosion resistance and high physical strength. It finds many different applications in numerous industries such as fluid handling (Valves, Pumps, Filtration etc), shipping (propellers etc) and other varied applications. It’s use in the oil and gas section has become extremely prevalent not least due to its non-sparking properties. Aluminium bronze is also recognised for its corrosion resistance which makes it especially suitable for certain environments such as in the chemical industry. The aluminium component of the alloy reacts with oxygen in the environment to form a layer of aluminium oxide which resists attack and forms a skin which prevents the metal being attacked. This propensity makes aluminium bronze particularly difficult to cast as this reaction has to be be prevented as the hot metal is introduced to the mould. Typical pouring temperatures for AB2/C95800 are between 1180 and 1240 depending on wall thickness and intricacy of the part. Draycast uses both green sand moulding and resin moulding systems to produce aluminium bronze castings in our foundry in Chesham UK. Here at Draycast we have extensive experience of supplying many tonnes of aluminium bronze casting per month and this demand is increasing year on year as we have demonstrated our technical abilities to existing and potential customers. 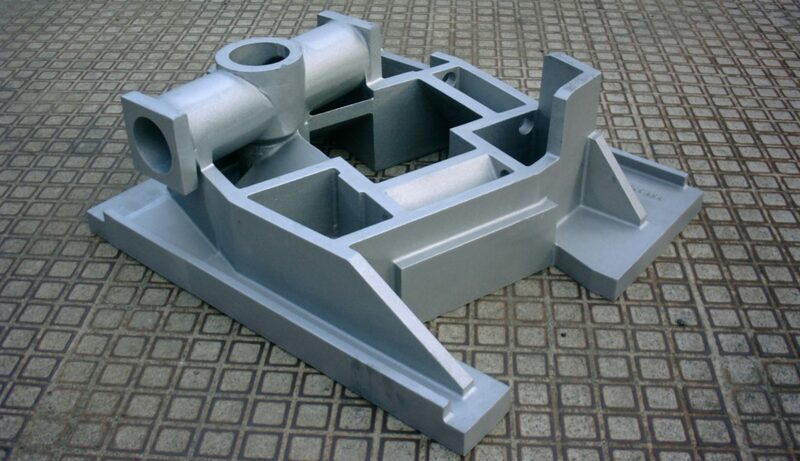 This backed up by our approvals from both Lloyds Register and Bureau Veritas for the manufacture of bronze casting.